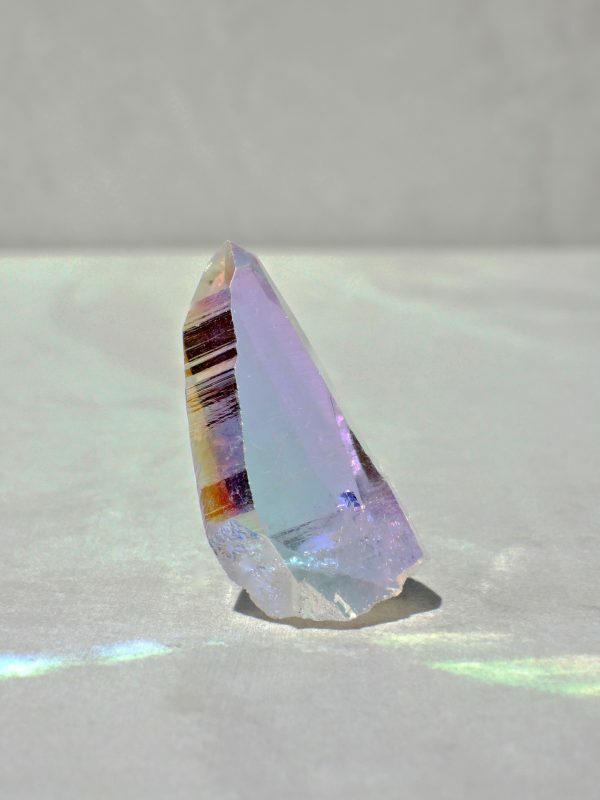 Not every crystal has to speak loudly to move your soul – the delicate iridescence of this Angel Aura Quartz crystal point gently lifts your spirits with a reminder of the subtle magic that always surrounds us. 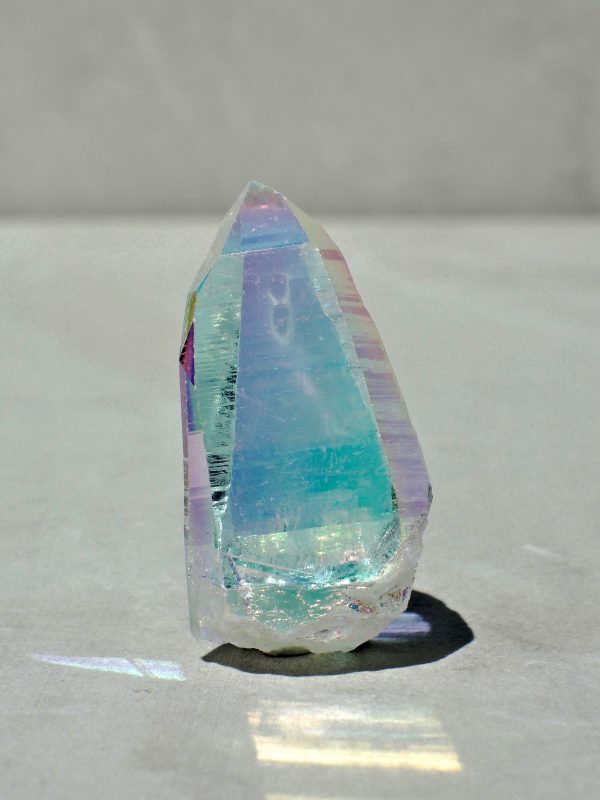 Each facet has an incredible mesmerizing sheen. 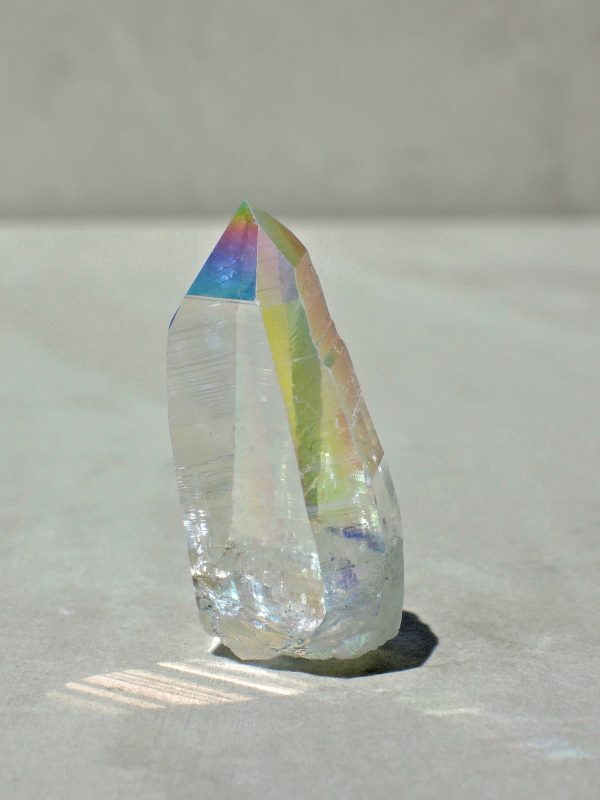 This form of Aura Quartz is created by an alchemical bonding of platinum, silver and other trace metals with natural Clear Quartz to form a pale, icy-blue shimmer. 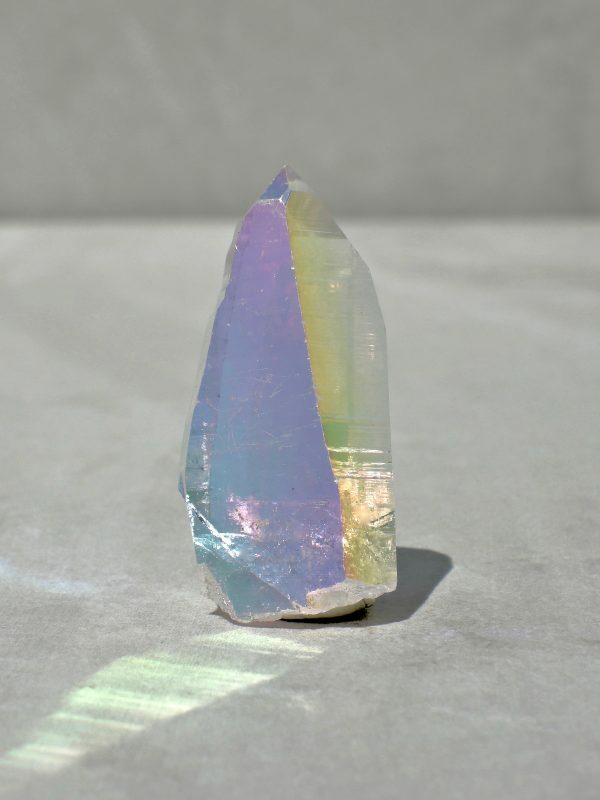 Angel Aura Quartz carries a serene, spiritual energy that lifts you above lower vibrations, attuning you to higher realms. 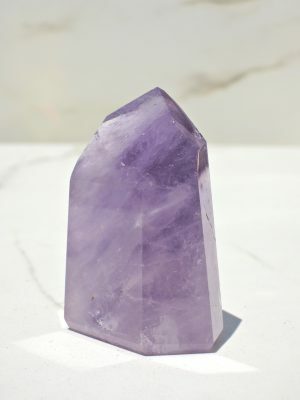 Group it together with Amethyst and Rose Quartz points to invite in a truly angelic vibration. 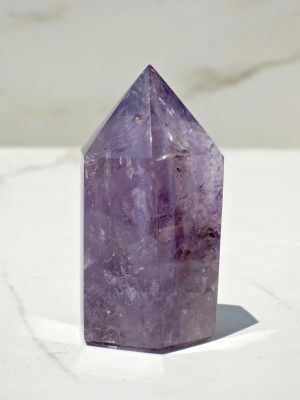 Crystal points focus and direct energy – allow them to infuse your space with positive energy or work with them intentionally to create transformative shifts. 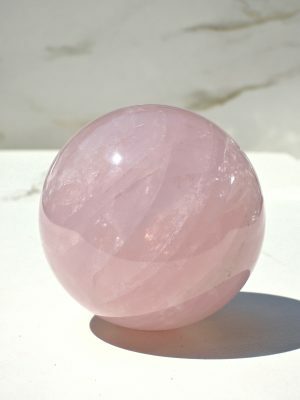 * This crystal is the manmade result of platinum, silver and other trace metals bonded with natural quartz.